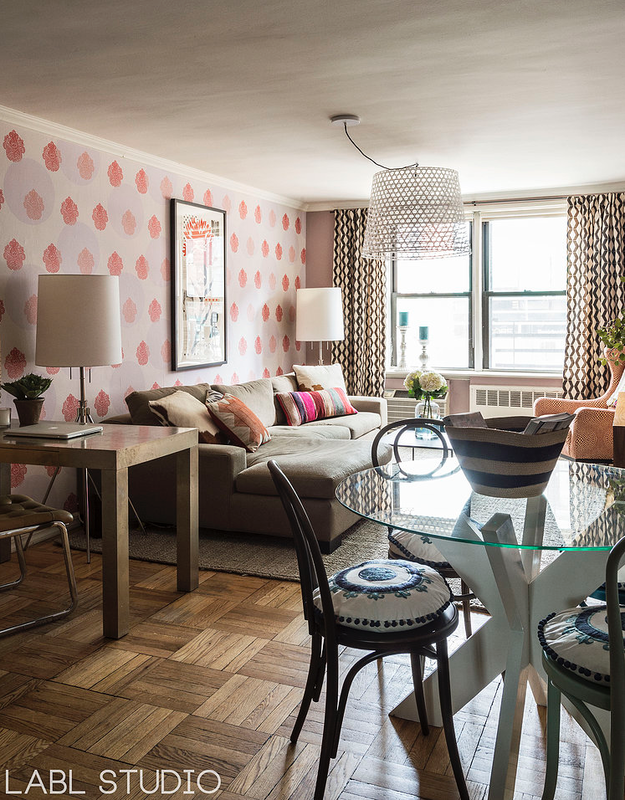 If the mid-century West Village apartment by LABLstudio is a perfect man cave for a bachelor, this second project that I’m going to share is definitely the perfect “bachelorette pad”. 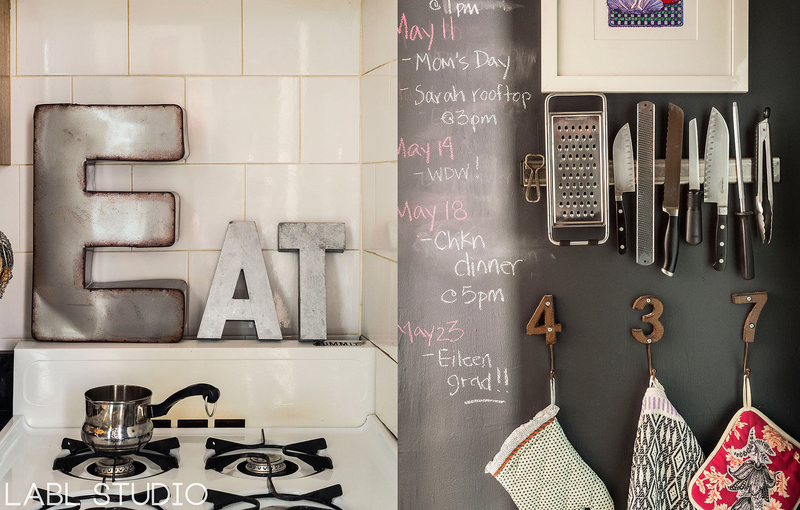 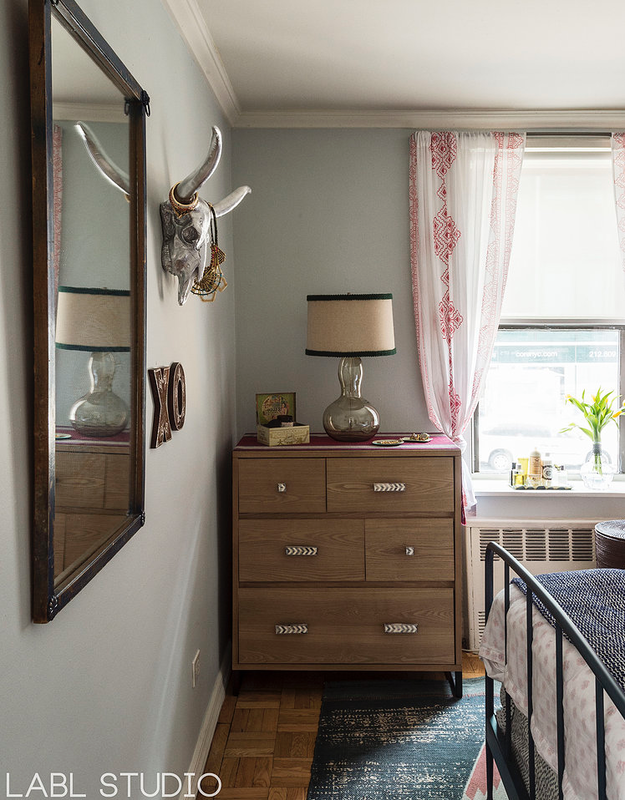 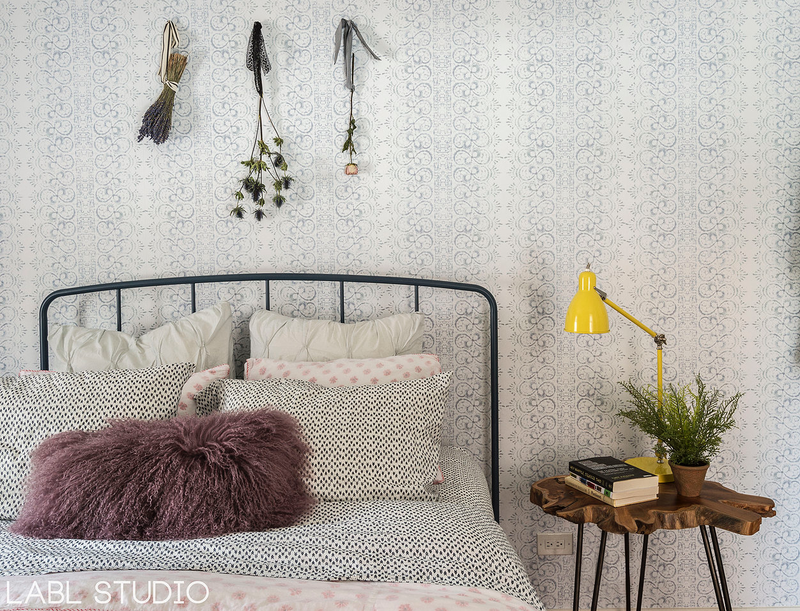 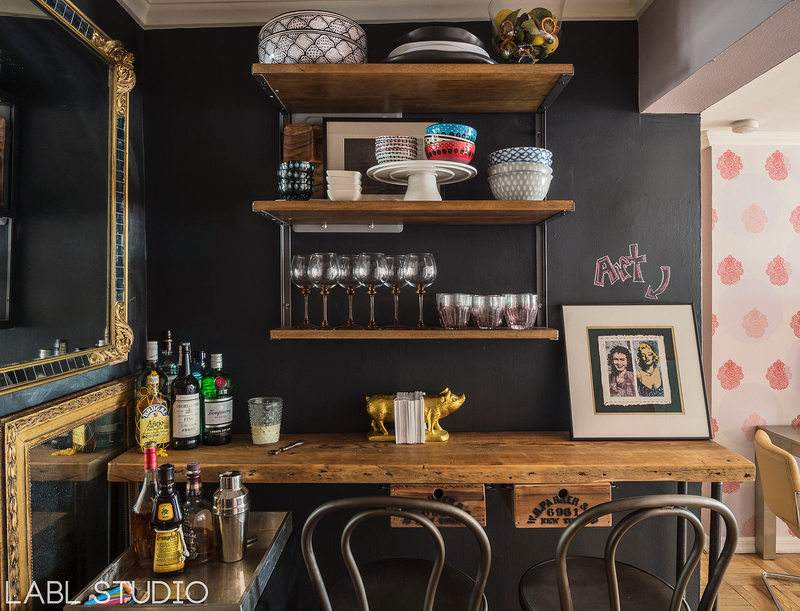 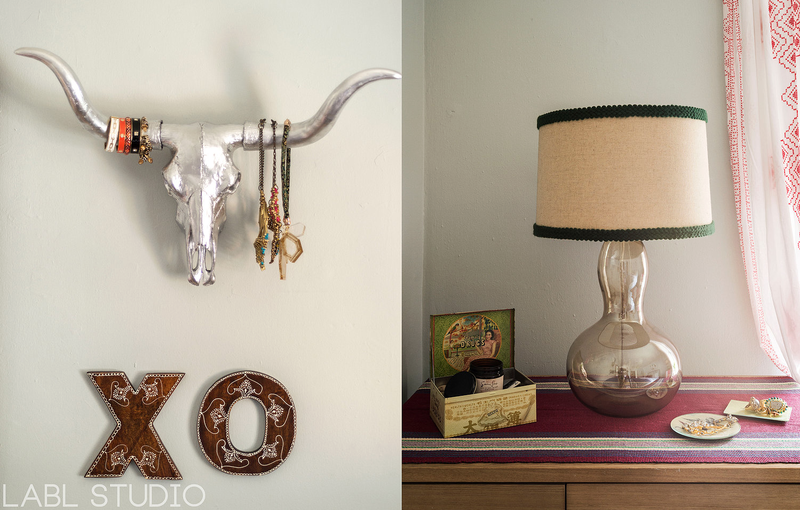 This Chelsea one-bedroom apartment is decorated in a bold, romantic bohemian style. 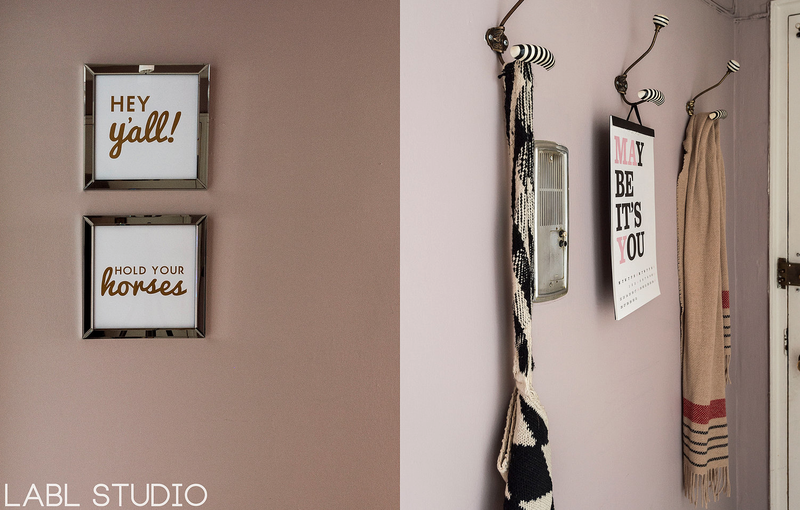 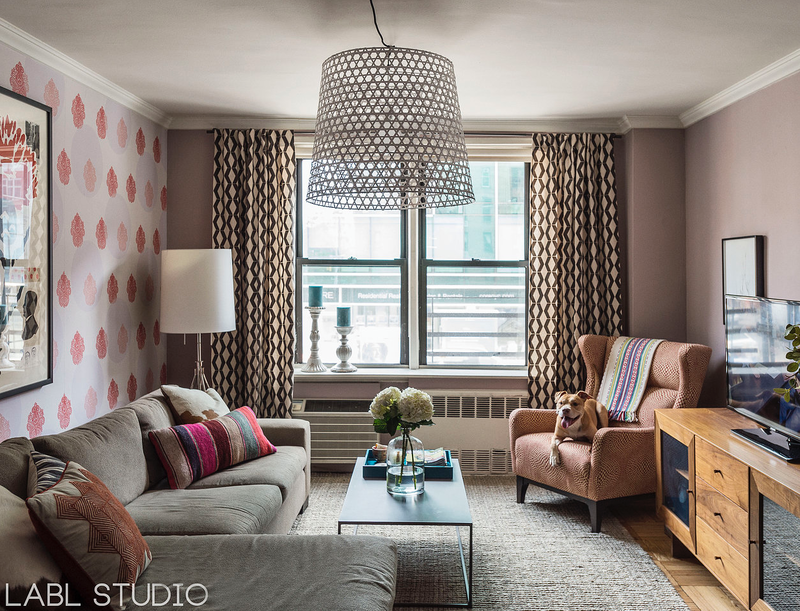 The shades of mauve used in the living room are so delicious! 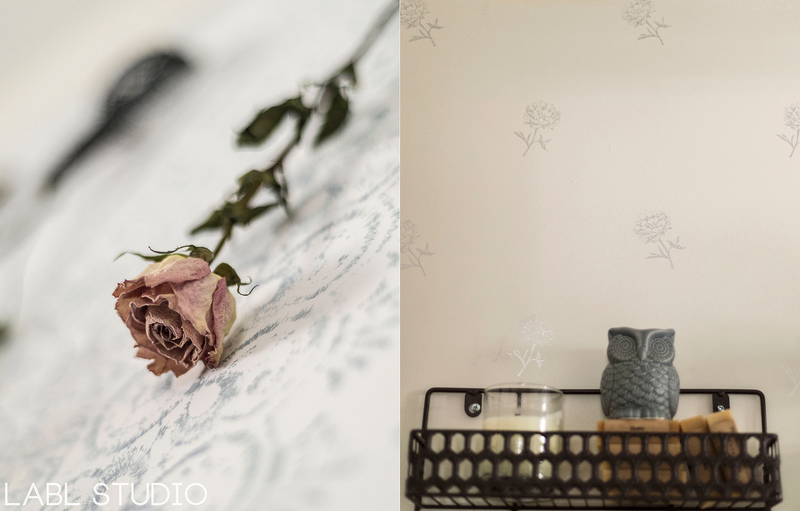 Also, have I mentioned to you that this talented duo at LABLstudio also have their own range of wallpaper to offer? 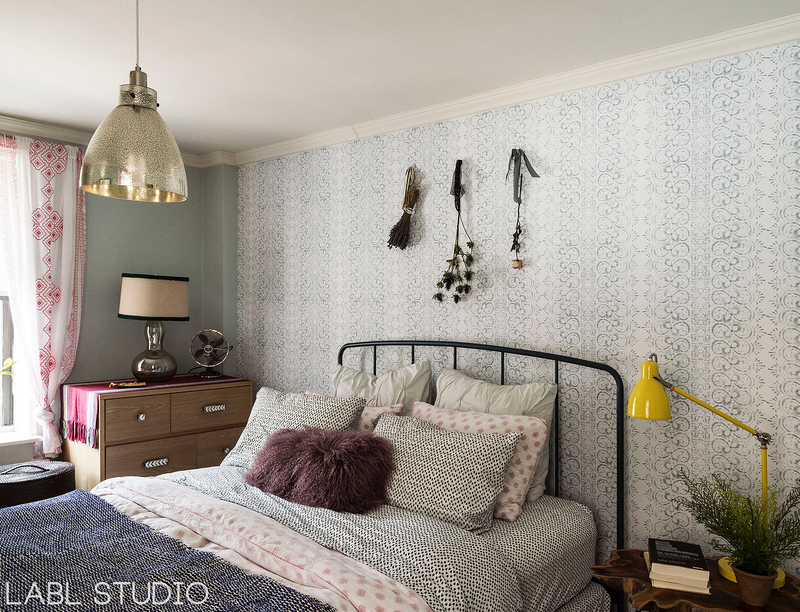 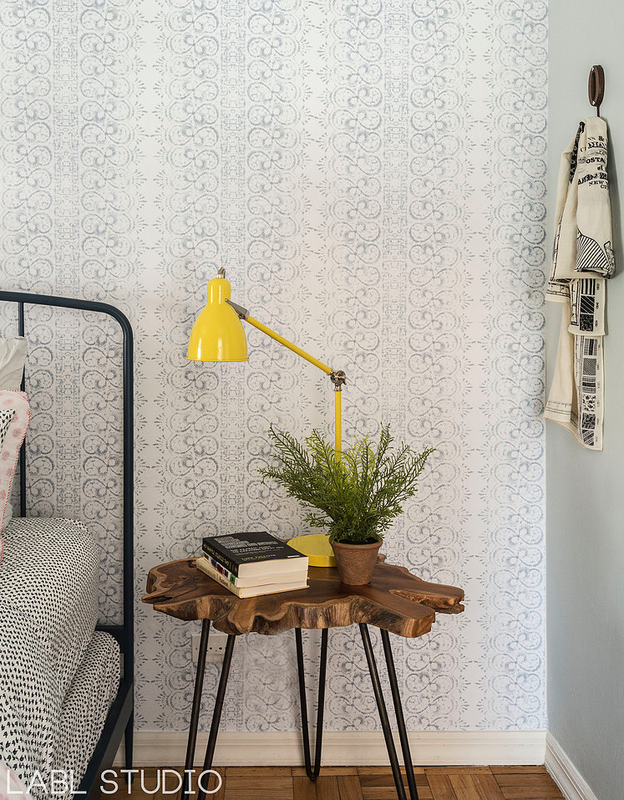 Featuring here in the bedroom is the Racy Lacy wallpaper from their design. 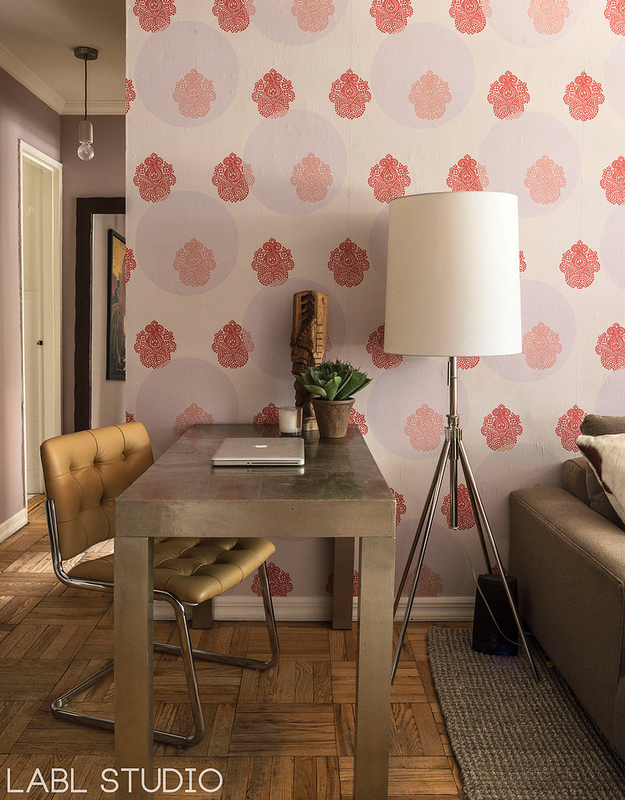 To view the full range of their wallpaper design, click here.